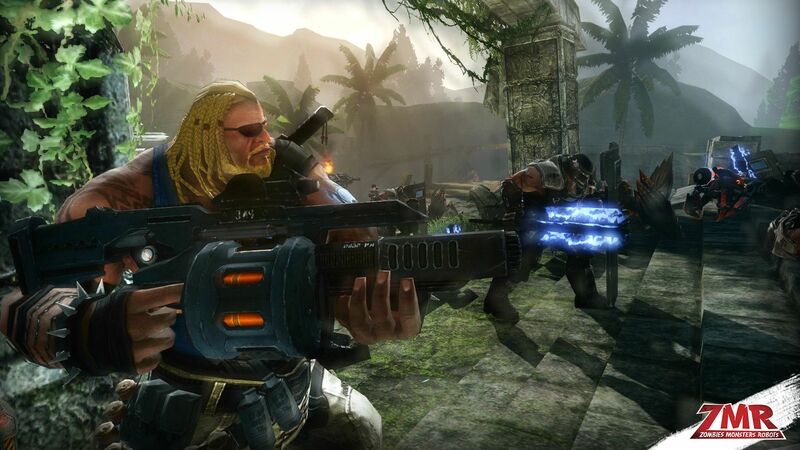 While we waited and waited for the Western release of the ill-fated shooter Mercenary Ops, we thought we wouldn't hear from developer Yingpei Games – previously Epic Games China – soon. We were wrong, as the announcement of Zombies Monsters Robots shows. Zombies Monsters Robots' rights were snagged by En Masse Entertainment, the publisher of the successful free MMORPG Tera Rising. 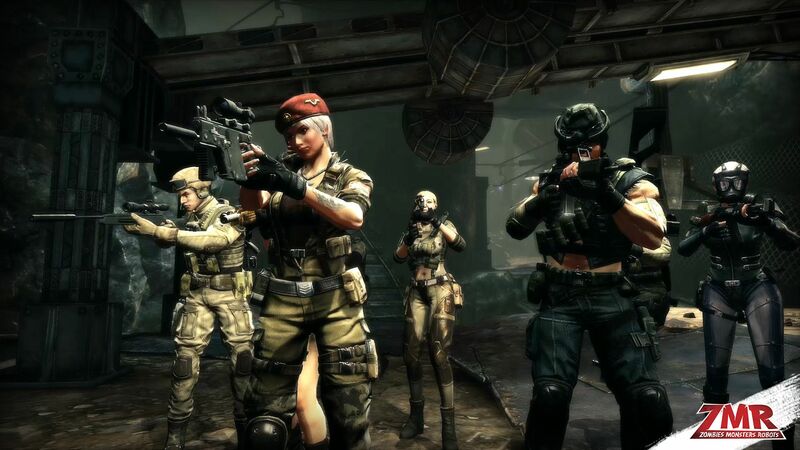 Yingpei Games is working on a free-to-play third-person shooter for PC that shares a few features with the aforementioned Mercenary Ops, including the Gears of War-inspired testosterone-fueled male characters, but there are also female characters in the game. 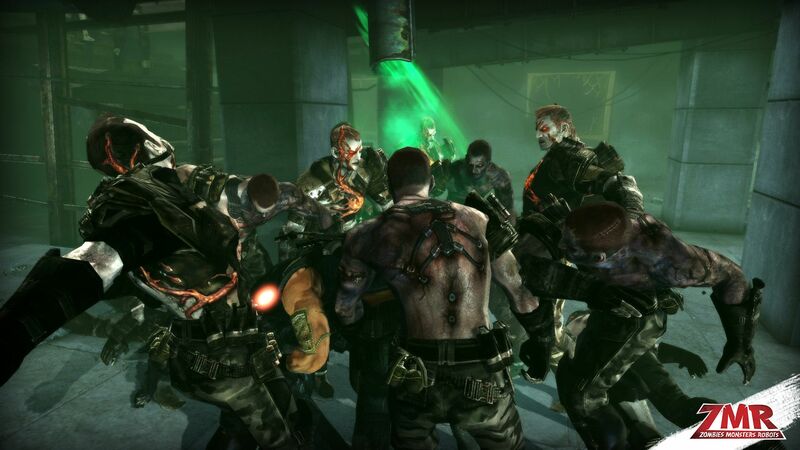 After all, Zombies Monsters Robots is considered something of a spiritual successor to Mercenary Ops. The game's story tells us of interdimensional portals opening up all over the world and all the monstrosities appearing to crush humanity, forcing mankind to unite and fight the common enemy. Pretty much the premise of Pacific Rim, only this time the robots are also part of the enemy. 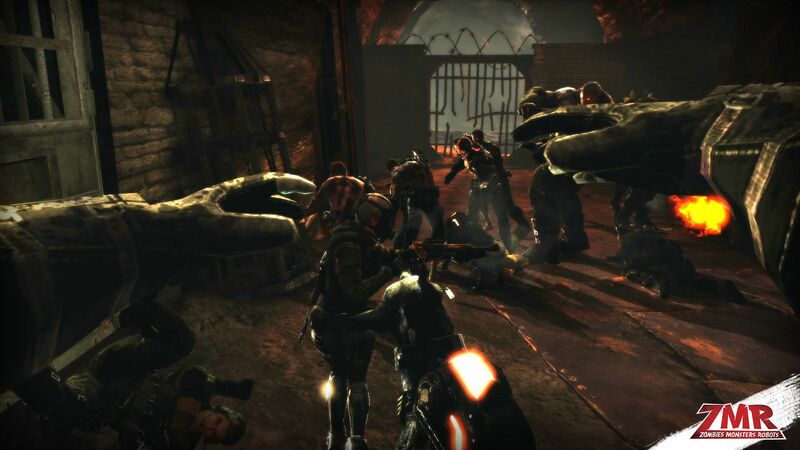 Players should expect a few different game modes, including survival and co-op campaigns where up to eight players may participate, with a boss battle always expecting them at the end. Competitive modes allow 16 players to battle in modes such as humans versus monsters – one screenshot below shows what looks like a first-person zombie view. The game is planned to launch this summer, while a public alpha test is expected in April and an early access version scheduled for May. The first trailer is expected tomorrow, March 26th and the official website is already accepting sign-ups with the chance to win a first blood pack. Post launch, the devs want to add more content frequently, from new weapons to maps, modes and enemies. This game also marks the first collaboration between Yingpei Games and En Masse, with more to come.